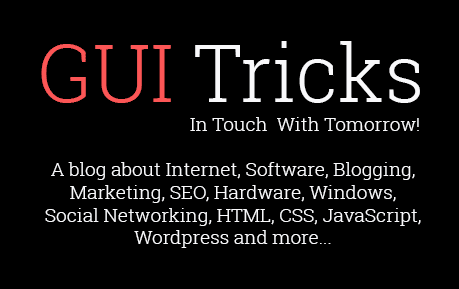 Top Five Rapid Prototyping Tools You Need To Know | GUI Tricks - In Touch With Tomorrow! 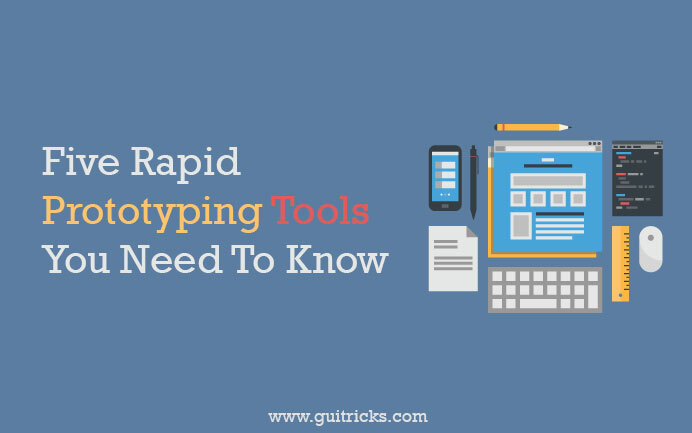 Top Five Rapid Prototyping Tools You Need To Know - GUI Tricks - In Touch With Tomorrow! Are you a designer? Are you familiar with the pain of complete design change or major design iteration? It is very time consuming and frustrating, right! How about solving this problem? Even better, how about solving this problem without writing a single line of code? Yes, it’s possible with design prototyping. Designs are visual elements. Presenting and confirming design with a client is a good start and the best practice. It help you save from those group up re-design work. But your client would have different opinion than what you have thing for his/her project. Visual are the thing where clients ask for more customization and sophistication. Unlike the coding where following the best practices generally works in most cases. A client would rarely ask for code architecture modification. Where asking for design architecture modification is pretty common. You know, that design, re-design, customization and confirmation takes a long time. And it possibly make your project delivery delayed! There is an answer to this problem. The solution is to make your client experience what you have designed in real-time. Let them feel the UI and experience the design. Prototyping makes this task easier for your. It was an open source project made possible by the Facebook. It was used to be hosted on a public github repo. But it seem to have got a new home at origami.design domain! It is still a free of cost tool. 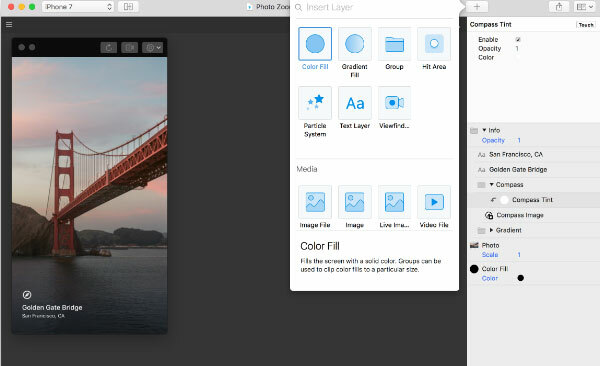 At the moment, the prototyping tool is available for MAC systems only. The description suggests that the product is developed and used by Facebook designers. They have used this prototyping tool to prepare Facebook, messenger, and instagram. The main purpose of this application is to create design prototype for mobile applications. The native mobile application available for both the Android and iOS. You can view and experience prototype live on your mobile device. If you are familiar or using the sketch application, it offers seamless integration between both the applications. You can copy the design sketch and past it on origami application. It will help you convert your design into a prototype. It will help you make a smart mobile design where you can add condition, loops, mathematical calculations, iOS design elements, material design elements, animation and much more via the application interface. If you are into mobile application development and you own a MAC :) it’s worth trying free tool. This is rapid prototyping tool for website creation. It has kind of segmented pricing model. If you are a designer you can sign up for a free account upto 2 projects. It has always been a pain for designers to code a website. This tool make it easy for designer. A design may need to create the design using the application and it handles all the underlying codes. 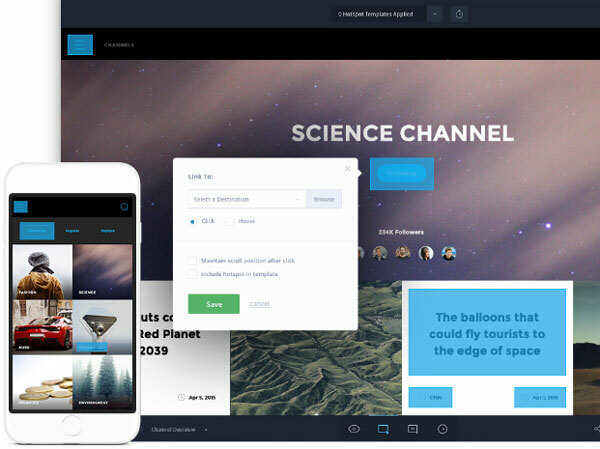 The pro or business version of this tool also allows designers to create a CMS website right from the prototyping tool without writing a line of code! They are also offering the website hosting built using the prototype tool. Additionally, you can export the code as well to host the site on other hosting servers. As said earlier the pricing start with $0 a month for upto two projects and go upto $35 a month for pro accounts. If you are into web designing, this might be the worth checking tool! You can test the application upto two projects. You can go for higher plan if you find application easy and useful. Ok before you blame let me confess, it’s not really a prototyping tool. It’s more of a multipurpose design tool. I find it worth mentioning. This is a free tool available for all major operating systems like Windows, MAC, and Linux. Additionally, you can use it online using Chrome for cross platform and cross device compatibility. You can use this tool to quickly prepare the website or mobile application design on your computer. And you can perform and reflect the changes almost in the real time manner. You may need to create an account to keep your work sync between the desktop applications and web applications. As far as the pricing is concerned, the application is free for all the platforms. They may introduce pricing in future, but for now enjoy the service for free. There are many tutorial available on their site to get you started with their application. You may consider trying them to get familiar with the application. A very popular application to prepare the design prototype for both the mobile applications and web sites. You can upload the design on it’s web application and add required animation, transitions, and gestures to your design. 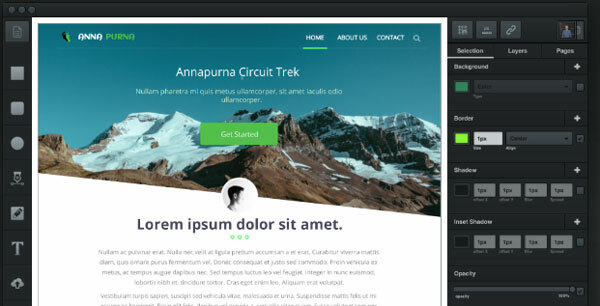 It help you convert your static design into a clickable design. You can showcase your design prototype to your customers and ask for the feedback live on the prototype design! It also offers you a visual project management tool online. It help you see the screen, statuses, and comments on single screen. It has many features to offer. Although they market it’s free forever, it’s free for only one prototype. If you need more than one prototype project running simultaneously you may need to opt for the higher plans like pro or team plans. If you are looking for well established tool that offers prototyping for both the web and mobile application design along with some cool added features. This is a worth checking tool. If you are looking for a tool which help you create web design wireframe and prototype on single application, this application is probably for you! The editor offers drag and drop of controls on work area. There is large pool of component that you can use to prepare a good looking prototypes. There are plenty of actions and command you can bind with prototype to make the design interactive. It makes the feedback process very simple. On any of your prototype, you get a QR code. Scanning the QR code will open the prototype design on any device any platform without installing any application or connecting your device with USB cable. They have very straight forward pricing model. There is a free version with limited set of elements and functionality. It would be best to get started with the prototyping. And there is a pro version with some added goodies. You can pay for either monthly basics or yearly basis. If you are just starting up with design prototypes, it might be worth checking tool. Designing only is not the tough job, creating a better experiencing design is the tough job. It’s frustrating when you need to perform major iterations and heavy design changes on better experiencing designs. A design prototype would help you fix this issue quickly and permanently. Darshan is passionate about the best experiencing web application development. He loves to share his experiences and findings with the community. You can connect with him on twitter if you are a design or web development enthusiast.